Jeff Lipkin has concentrated his career on representing several major insurance companies in various types of insurance coverage matters. These areas of insurance include property/casualty, professional lines, homeowners, health, life and automobile. Jeff also has extensive experience in bad faith litigation and related extra contractual liability issues. · numerous insurance company defense counsel that formed joint defense groups to coordinate litigation strategy. · scientific issues related to manufacturing operations and waste disposal, requiring an in-depth understanding of the insured’s manufacturing operations and waste handling practices. · hundreds of thousands of pages of documents located throughout the United States and Canada. · dozens of potential witnesses located throughout the United States and Canada. 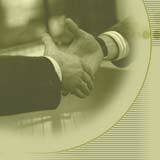 · preparing for and conducting dozens of depositions, including depositions of client representatives. · substantial privilege logs, discovery motions, complex dispositive motions, expert discovery and pre-trial pleadings. · some form of alternative dispute resolution.